Los Angeles Times: "The remarkably mature Porter easily encompassed every aspect of this bipolar concerto. Her ripe tone quality sang directly and naturally throughout the first two movements, with a seamless legato, no forcing, and a sure grip of the overall line." Financial Times: "The Butterfly Lovers Violin Concerto, itself a celebratory mix of Shanghai’s Chinese stage traditions and Russian concert heritage, was an obvious choice, though violinist Maxim Vengerov (performing the piece for the first time) was clearly more comfortable with the Russian side of the equation." CCTV: "This season will include over 100 concerts, either performed or organized by the orchestra. That’s a major step up from the 30 concerts it played a year ago. For Asia’s oldest orchestra, the new concert hall will be a new start." Montreal Gazette: "Listening to Ehnes alone onstage, I had the impression that we were witnessing a private conversation; with the violinist at his most fluid, the notes were poured, not played, and he moved between a slim tone in the Adagio to a plummy one for the fugue. Marvellous." Times Union: " As soloist in the Concerto No. 1 of Max Bruch, Bell displayed the ample gifts that long ago brought him to the top ranks of the field. He gave both weight and grace to the sprightly opening theme and played the more sweeping passages with a breathless ease that was honey rich but never sweetly cloying either." Simone Porter is one to watch!!! 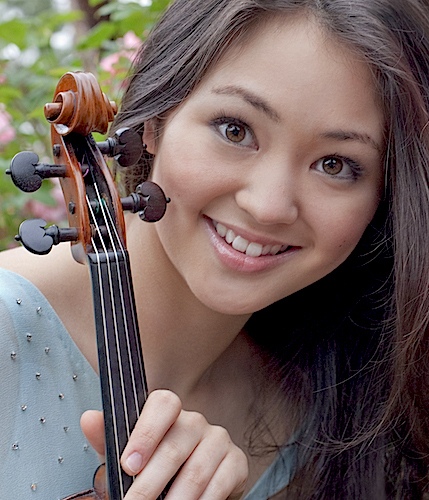 I have been 'watching' Simone Porter for a loooong time, she is one of my favorite young violinists, love her playing.